I have a love affair with scarves, if it was acceptable I would wear them every day. J Scarves are just like a pair of heels to me, they can spruce up any outfit. They are a great accessory in that they add an extra hint of something to your outfit. I wear scarves more for personal style than for function (yes, I've worn a scarf with a sleeveless shirt before), but they can definitely help keep you warm during those cool fall and winter nights. 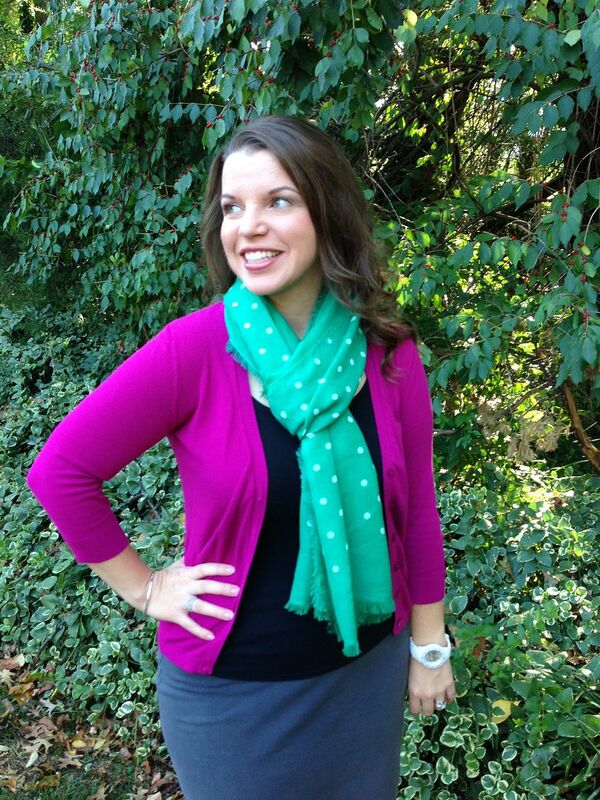 If I have on an outfit that just seems blah to me, I’ll throw on a scarf and immediately feel more pulled together. 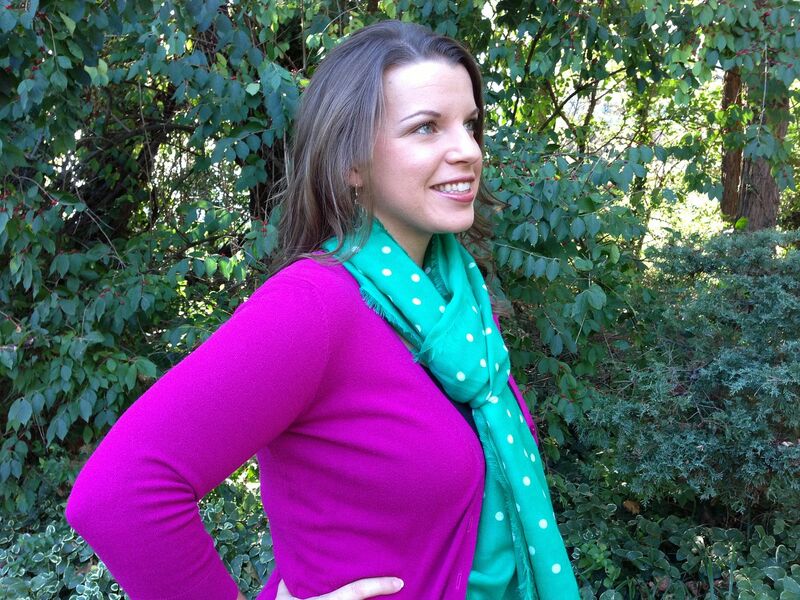 Currently, I’m enjoying my green polka dot scarf from Gap. 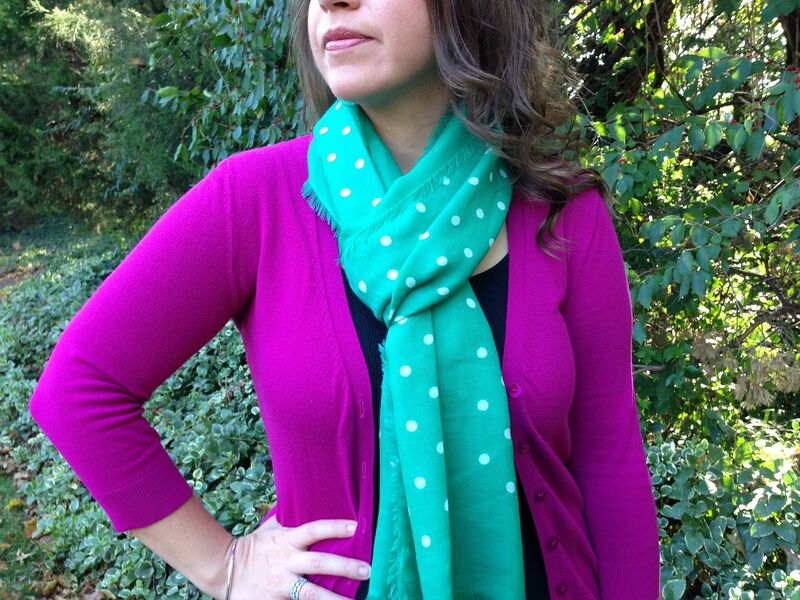 It is no secret that I love polkadots; add the color green to this scarf and it was love at first sight. 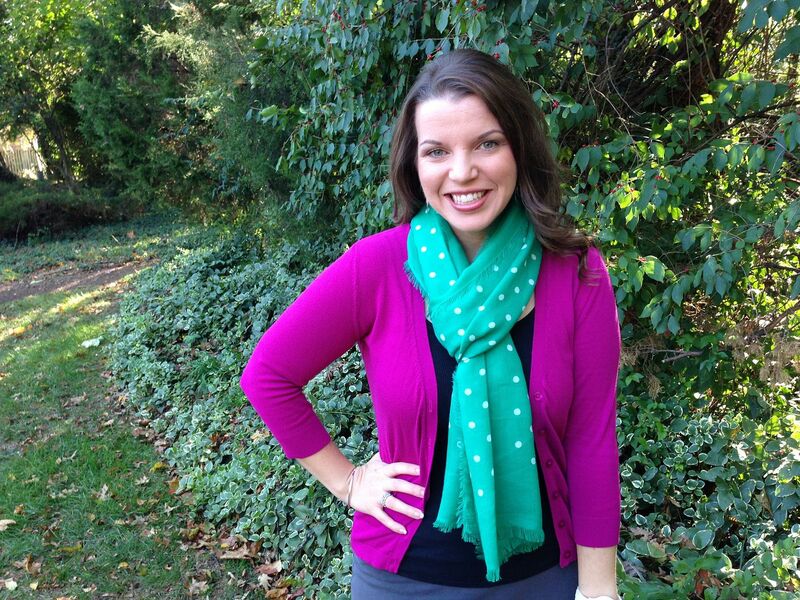 The green in the scarf brings out the green in my eyes, plus the polka dots just make it fun. 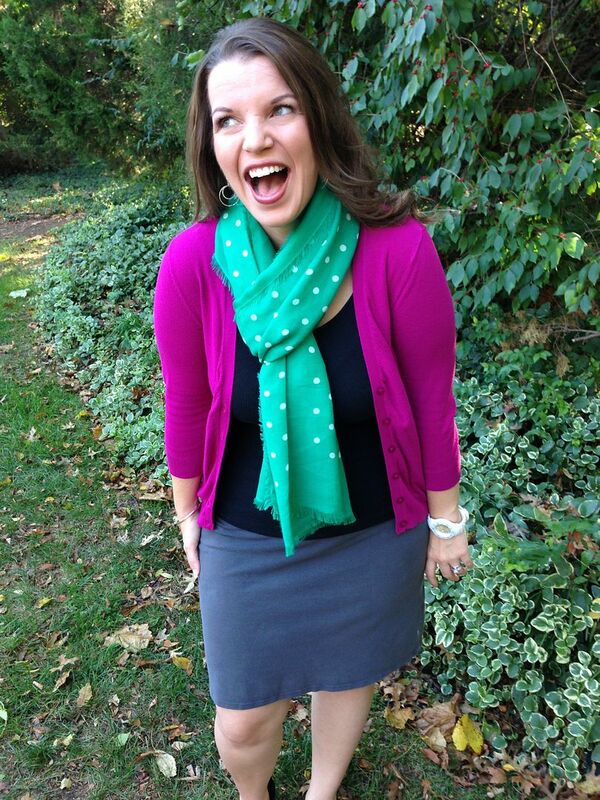 Not to mention, I've received tons of compliments on the scarf – which is a HUGE win in my book. And I'm finally learning to mix and match different colors. And to you, my lovely readers, life is too serious not to laugh at yourself. So go grab your favorite fashion item and write a little thank you letter to it. Hopefully it will make you laugh and just enjoy a moment of silliness during this crazy journey we call life. Skirt/Cardigan/Tank: New York and Company. Scarf: Gap. Earrings; Talbots. Watch: Very Jane. That scarf is too cute! I love the polka dots!!! not only on trendy clothes but also on various fashion rolex datejust watches accessories available in the market. Fashion handbags are specific fashion investments. Rising demand for cheap designer catier earrings is very much anticipated and expected.